The new Samsung Galaxy Note 3 is probably one of the most awaited devices at this time. Recently, we found out about some new pictures which are letting us know how the device will look like. The pictures were launched on the web by Sonny Dickson, the well known Australian who offered alleged pictures of other devices before. 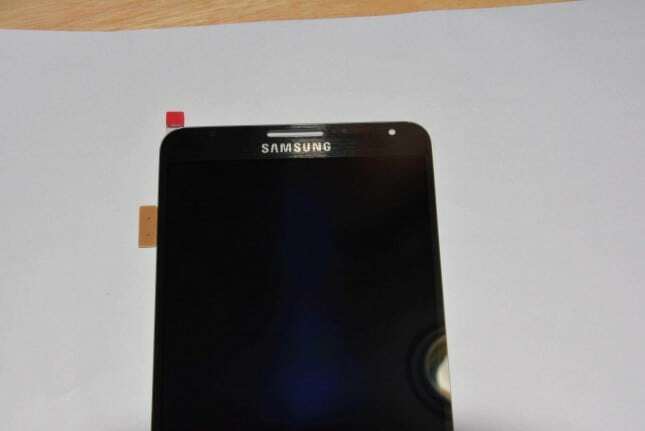 So, we have some images that are presenting the new device in a classic shape which Samsung prefers. The images can not be 100% trusted but it is a good chance that they show us the truth. However, it is a small chance for us to see a prototype or another device. The panel of the device is more squarish than its predecessor and the angular lines seem to be the wright choice at this moment. Samsung didn’t changed the place of the speakers, camera and sensor and this is a good thing if we consider that customers are already used with them, but it is also a bad aspect for those who wanted something new about the design. The display will probably be a 5.68 inch model and the processor will be a Snapdragon 800. Also, the device will have 3GB of RAM and a 13MP camera. So, we heard the confirmation from Samsung which claimed that the device will be unveiled on September 4 in Berlin, and we have to wait one more week to see it.